Abraham and Sarah spread the Abrahamic creed of monotheistic theology to all. Abraham would guide the men, while Sarah influenced the women—forming what could be seen as a proto-Chabad House! Abraham and Sarah, 75 and 65 years old respectively, left Haran, where their family had settled after leaving Ur Casdim, and settled in Canaan. Yet, famine soon came to the land, and they were forced to travel to Egypt. Before their arrival, Abraham hid his wife in a large box, and instructed her to say, in the event that she would be caught, that she was his sister rather than his wife. The Egyptians discovered the beautiful Sarah and gave her to Pharaoh for a wife, sparing Abraham’s life. Sarah prayed to G‑d, and Pharaoh was struck with plagues that very evening.7 Pharaoh realized his wrongdoing and sent Sarah back to Abraham. Along with gifts that he gave to Abraham, Pharaoh gave Sarah his daughter,8 the princess Hagar, to be her personal maid. This sequence of events was repeated when Abraham and Sarah were sojourning in Gerar,9 after the destruction of Sodom (read more about Sodom here).10 Abraham introduced himself as her brother to Abimelech, the king of the Philistines,11 who promptly took her as a wife. G‑d appeared to Abimelech in a dream, threatening him with death if he failed to release Sarah. He immediately returned Sarah to her husband. After Abraham and Sarah had lived in the Promised Land for 10 years and she was not blessed with a child, Sarah decided to make a supreme sacrifice and offer Hagar to Abraham as his second wife, who would bear him a child and give him a lasting legacy.12 Hagar gave birth to a son, Ishmael. 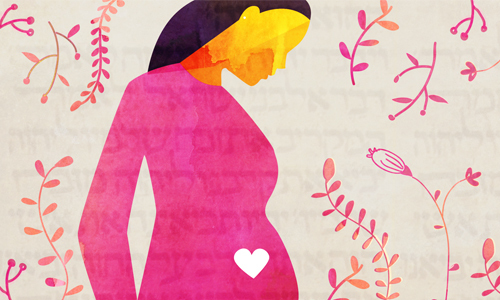 But G‑d intended that Sarah become a mother as well. Both names were somewhat limiting. Sarai implied that she was only “my princess,” and Abram limited Abraham’s sphere of influence to Aram, his original hometown. 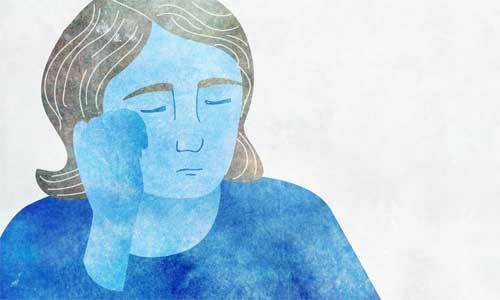 Following G‑d’s command, at the age of 99, Abraham underwent circumcision. 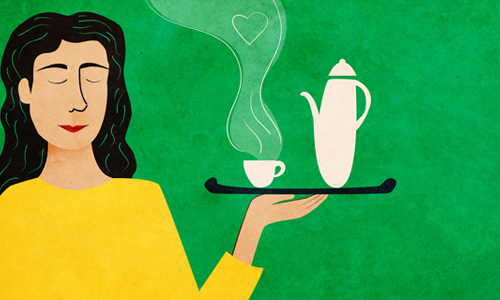 As he recovered, he prayed to G‑d to send him guests, as initially, G‑d made the day exceedingly hot so that no travelers would disturb him as he recovered. His prayers were answered, and three angels, disguised as foreign travelers, came across a weak yet welcoming Abraham. Abraham ran into the tent, telling Sarah to prepare a feast.16 While the angels were there, they promised the elderly Abraham that Sarah would have a son.17 Sarah, at the mere suggestion that she could conceive and carrying at age 89, broke out into laughter. A year later, after the episode of Lot and Sodom and her second kidnapping episode (see above), Sarah gave birth to Isaac,18 her one and only son, the long-awaited bearer of Abraham’s legacy. With deep joy, Abraham and Sarah hosted celebratory feasts in honor of their precious child. G‑d told Abraham to listen to Sarah, because she was a greater prophet than he.21 Abraham acquiesced, sending his son away and giving a clear sign that Isaac would be his heir. In telling Sarah’s age at the time of her passing, the Torah tells us that her life was “100 years, and 20 years, and 7 years.” The Sages24 comment that this means that when she was 100, she was as pure of sin as a maiden of 20; and when she was 20, she was as beautiful as an innocent 7-year-old. Explore the depth of this teaching here. 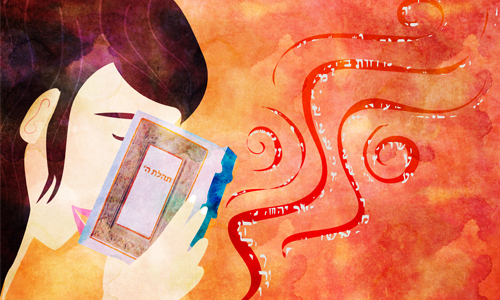 The portion of the Torah that speaks of Sarah’s burial is known as “Chayei Sarah,” “The Life of Sarah.” Would it not be more appropriate to call it “The Death of Sarah”? 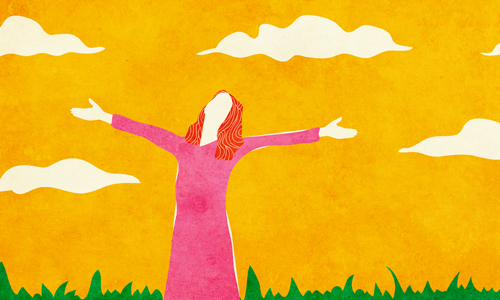 The Lubavitcher Rebbe—Rabbi Menachem Mendel Schneersohn, of blessed memory—explains that the life a tzaddik, a righteous person, is more vital after death, when the merits of her deeds are fulfilled and actualized. Sarah invested her very essence into her son, working hard to keep their home pure and holy. When we read that Isaac married Rebecca and continued in her ways, we are experiencing the true life of Sarah. Read more here. 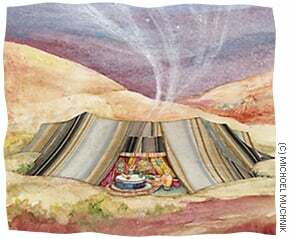 Abraham would seek out the guests, while Sarah cooked for and welcomed them into her tent. Today, Jewish weddings take place under an open canopy, a chuppah. Some point out that the open chuppah is reminiscent of Abraham and Sarah’s tent, which was open on four sides. There is an interesting Midrash Rabbah in Noach 13 that speaks about the deep bond between Haran, father of Sarah, and his brother Abraham. When Abraham was brought to King Nimrod by their father Terah for defacing and mocking idols, he was thrown into a fire, with Nimrod proclaiming that if Abraham’s G‑d was real, He’d save His loyal servant. During that time, Haran was forced to pick a side. After seeing Abraham’s miraculous salvation, he chose Abraham’s side, albeit sacrificing his life and dying as a result (see Eitz Yosef on Shir Hashirim Rabbah 7:13, for an explanation on why he wasn’t saved by G‑d). Breishit Rabbah 45:1 says that Hagar was the daughter of Pharaoh. Sodom, along with Gemorrah, Admah and Zevoim, were destroyed in punishment for their sins. Only Lot, his wife and two daughters were saved. Lot’s wife, however, turned into a pillar of salt. See Rashi, Genesis 20:2. Ramban ad loc. explains the difference between this occasion and the previous one: Pharaoh and his subjects were immoral people, whereas Abimelech was an upright king and his citizens were moral people, but Abraham nonetheless suspected them of immorality. As to why he retained the reish, and did not change to “Avham,” see Rashi to Genesis 17: 5. See Rashi to Genesis 15:5. Bereishit Rabbah 42:12 says that G‑d told Abraham that he would bear a son from his wife Sarah. Abraham doubted this fact because he looked into the stars and saw that he and his wife Sarah would be childless. G‑d responded by telling Abraham that yes, Abram could not have children, and yes, Sarai could not give birth, however Abraham and Sarah could have children. In Genesis 18:9, the angels asked Abraham, “Where is Sarah your wife?” Rashi cites Baba Metzia 87a that explains that the ministering angels knew where Sarah was, but [they asked in order] to make known that she was modest, in order to endear her to her husband. Isaac, which means “to laugh”, is so named because of this episode, though Sarah would later deny that she laughed. See Genesis 18:15. Shalom Goodman received his rabbinic ordination from the Mayanot Institute of Jewish Studies in Jerusalem. 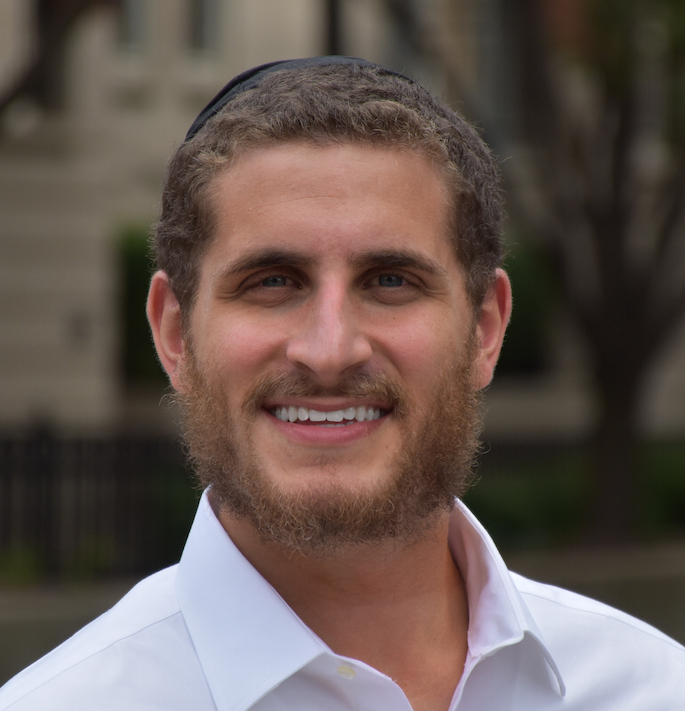 He currently resides in Chicago and serves as associate editor at Chabad.org.